Tom's Antique Radio Repair - Specializing in antique, vintage and tube radio repair, all makes. Transistor radio repair- from the 50's to the present. Free estimates. 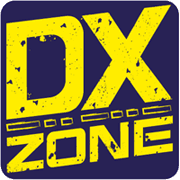 K5ZD contest audio recordings - Have you ever wanted to listen in on a serious SO2R DX contest effort? hear what the low bands sound like from New England? enjoy a contest without having access to a radio? This is your chance! KN4LF LF/MF/HF Radio Propagation Theory Notes - Layman level explanations of "seemingly" mysterious LF MF and HF propagation occurrences. Radio Australia ABC - Online in RealAudio and Windows Media formats, with multiple language shortwave schedules, and instructions for receiving Australian satellite radio and TV (AusTV). Democratic Voice of Burma - Democratic Voice of Burma is a multimedia organization focusing on Burma - Myanmar. We provide impartial news, information and analysis about Burma. We have two hour daily radio broadcast to Burma via short wave, promoting press freedom, democracy and human rights. Our news is available in Burmese, English, Arakan, Chin, Kachin, Karen, Karenni, Kayan, Mon and Shan languages.